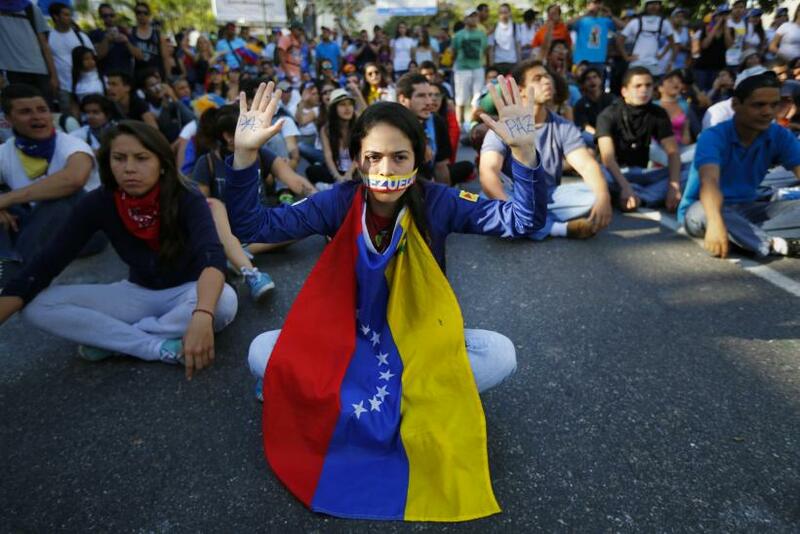 Venezuela's President Nicolas Maduro said on Sunday that he is expelling three U.S. diplomats accusing them for meeting with students involved in the recent anti-government protests that have rocked the South American country, and accused Washington of plotting with opposition forces. The two-week-long protest, led by those angered by the country's struggling economy and a deepening divide between rich and poor, has claimed at least three lives. The protesters have demanded that Maduro step down, but opposition leaders have said that political conditions are not favorable at present for the president’s exit. 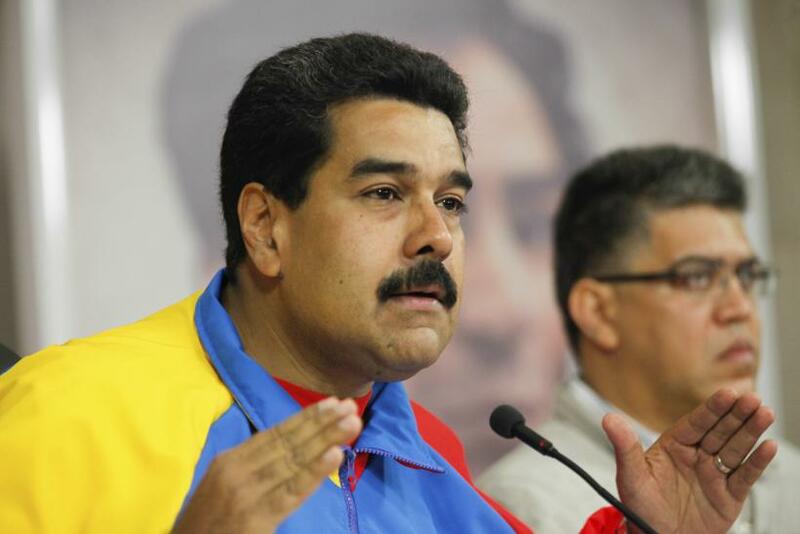 “We are determined to defend our country," Maduro reportedly said on a national television broadcast Sunday night. He did not identify the concerned diplomats in his speech. “I have ordered the foreign ministry to proceed with declaring those three consular officials persona non grata and expelling them from the country. Let them go conspire in Washington!" Maduro reportedly said. "It's a group of US functionaries who are in the universities. We've been watching them having meetings in the private universities for two months. They work in visas," the president added. On Saturday, U.S. Secretary of State John Kerry issued a statement expressing his concern about the rising tension and violence in Venezuela. 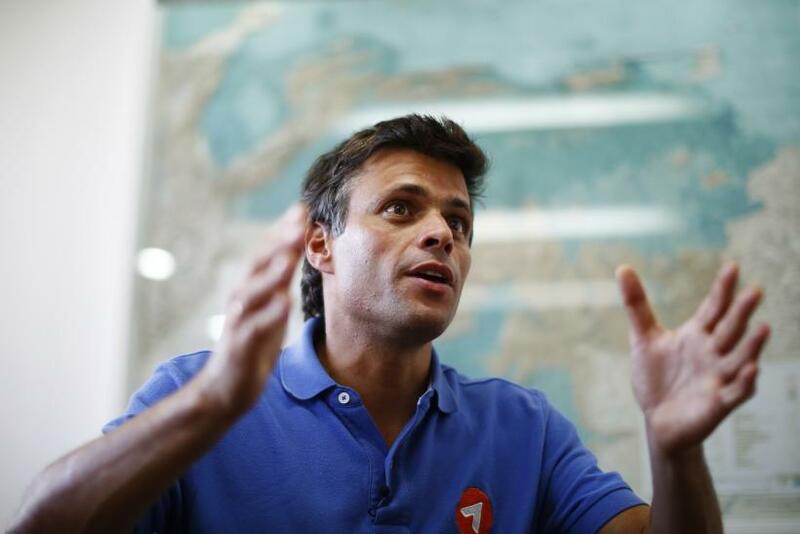 An arrest warrant has been reportedly issued for opposition leader Leopoldo Lopez on charges of murder and terrorism. Lopez has called for a mass rally in the capital Caracas on Tuesday, challenging the government to arrest him at the event. On Sunday, Lopez posted a video on his Twitter account, in which he reportedly said: “I want to invite all of you to join me on a march on Tuesday from Venezuela Square [in central Caracas] towards the Justice Ministry building, which has become a symbol of repression, torture and lies.” He called on his supporters to dress white, "to reaffirm our commitment to peace." "I will be there to show my face. I have nothing to fear. I have not committed any crime. If there is any order to illegally arrest me, well, I will be there," Lopez reportedly added. Argentina And Venezuela - Which Will Survive?